Nurses hear it all—from comments about the food to concerns about insurance to complaints about delays in another department. There’s no one more qualified to represent the interests of patients than a nurse leader. 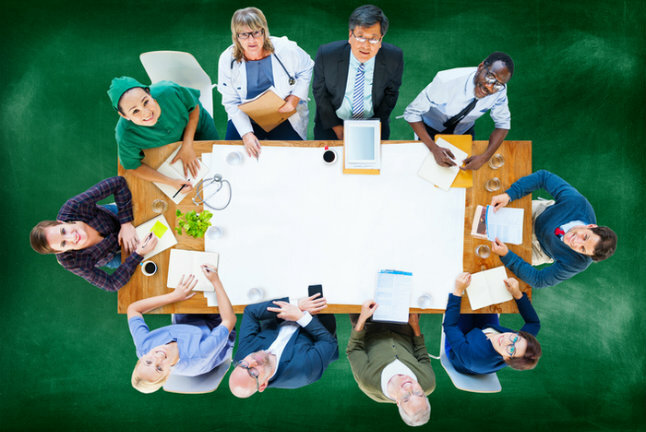 As a board member, you can explain how proposed revisions to policies will affect patients as well as recommend changes and compromises when you notice potential problems and conflicts. If you’re female, chances are you can also improve the board’s diversity. Only 28 percent of hospital governing board members in the United States are female, according to a 2014 survey by the American Hospital Association. Hospital governing boards should mirror the communities they serve. When nurses join boards, they can help pave the way for inclusion of people of all races, sexes and ethnic groups. Hospital board members sometimes erroneously assume that a nurse will only be concerned with representing the needs of nurses. Since nurses interact with every department in the hospital, they understand the hospital can’t be successful unless everyone works together. Armed with your knowledge of hospital operations, you can suggest ways to increase buy-in of new ideas and policies among hospital staff and make recommendations regarding safety, waste reduction, efficiency and other issues. If you’re interested in career advancement, board membership can have a big impact. As a governing board member, you’ll work with healthcare and community leaders and establish relationships which may help you reach the next rung on the career ladder. Since you’ll be involved in patient care and safety issues, regulations and compliance, credentialing, operations and peer review as a board member, you’ll gain valuable experience that will improve your leadership skills. If you feel a little intimidated by the weighty responsibilities of serving on a hospital governing board, keep in mind that it’s perfectly fine to start small. Joining a nursing association board or the board of a local nonprofit can help you learn how to manage the responsibilities of board membership without any pressure. When you feel confident in your abilities, you can move on to the hospital governing board. The patient-centered care approach doesn’t work unless your team embraces it fully. Encourage your staff by following the tips in our SlideShare, Nurse Leaders: Empower Your Team to Provide Patient Centered Care.